Preparing the Knife Blank - I Made A Knife! 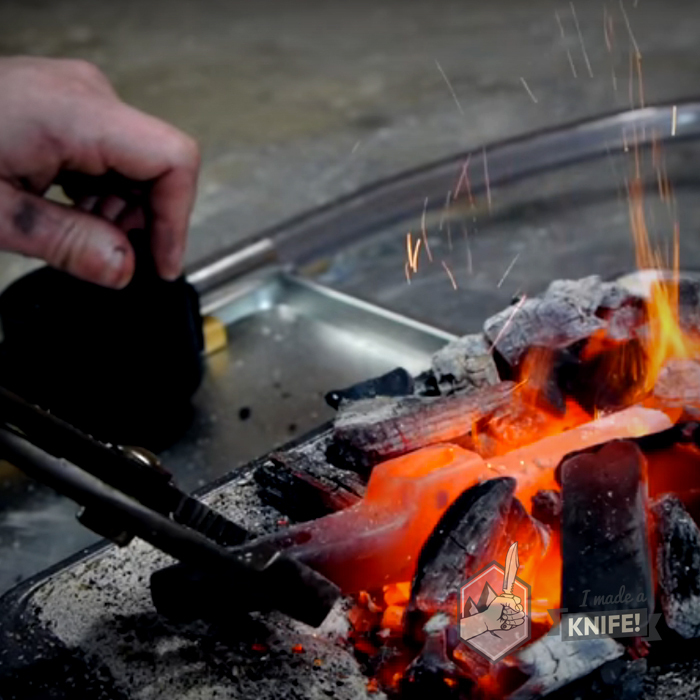 Have you thought of a design for your knife already? 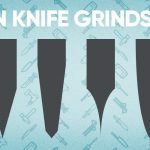 If you haven’t, I put together and illustrated over a dozen high resolution tried-and-true knife templates that you can download and print for free! 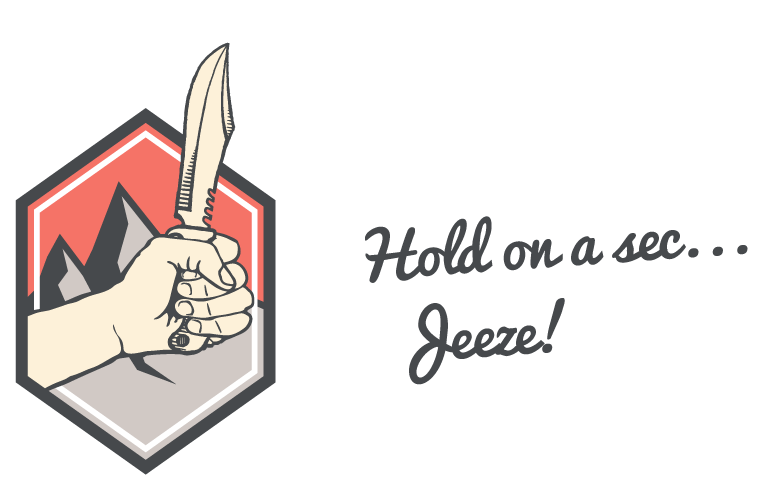 Or, start sketching a knife design! Start by tracing the rectangular outline of your metal blank on to some grid paper or cardstock to see the maximum size you have to work within. With a pencil and big eraser handy, draw the shape of your knife as best you can to scale. If you’re creating your knife design from scratch, grab a ruler like you’d grab a knife handle and see how much space your hand requires for the handle. 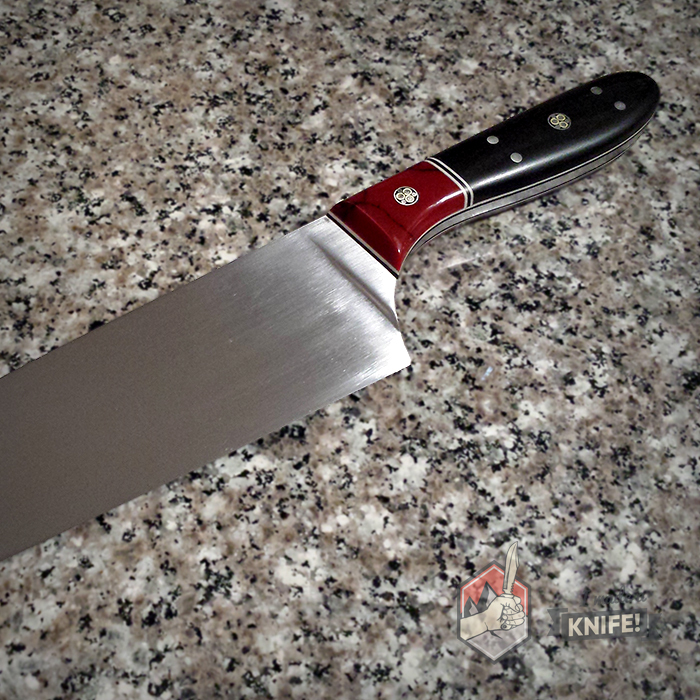 4 ½” is probably as short as I’d go on a full-sized knife, but it depends on your hands. 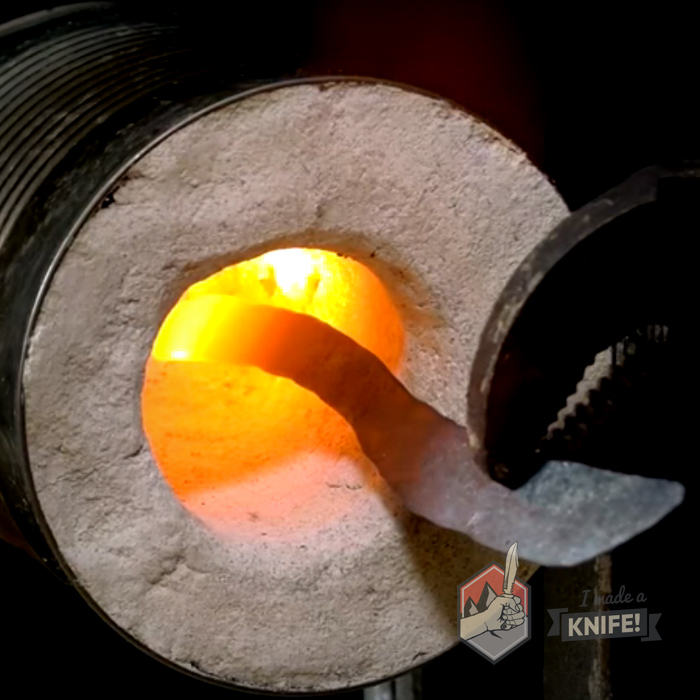 The knife blade is usually somewhere between 4″- 7″, but again, do what you feel! For your first knife, I recommended keeping the design on the smaller side as it will reduce the amount of grinding required later on—both literally and figuratively. Whether printed or drawn, you can now cut out the completed design. Trace or glue the cut-out onto something you can really grab and hold, like a piece of scrap plywood, and cut that out. You could use cardboard here, but it wont be as good a representation as the heavier plywood if available. It’s important that you get a feel for your knife here. 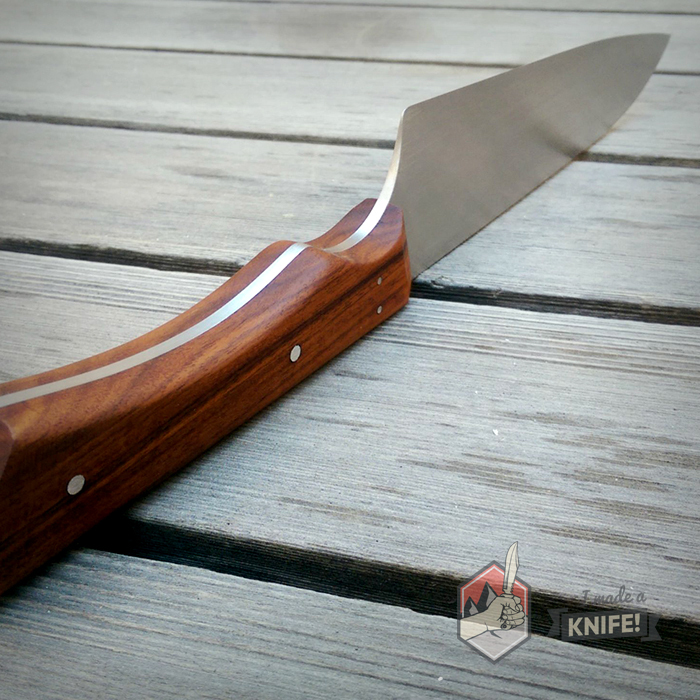 It’s possible that the knife will feel off or awkward and if that’s the case, you need to modify your design. If it feels right, you’re ready to then trace that final shape onto your steel blank using a scribe, Sharpie, or chalk. If you have a scribe, painting on some layout dye will help you get clean, crisp lines and the dye will serve as a reference later on for what you’ve not grinded. Now the fun begins! There are a number of ways you can cut this shape out and you’ll have to use whatever you have at your disposal. Don’t be afraid to make it really rough—you’ll be refining the shape later. But it’s crucial that you cut as much as you can at this stage because it’ll save you a lot of effort and pain later on. Place your metal blank in a vice or clamp to your workbench and tighten that sucker up. Remember, it’s a good idea to have something between your vice and the object its gripping so it doesn’t leave impressions in the soft metal. 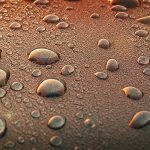 If you’re using a grinder or power saw, you may want to consider dipping your blank in some icy water periodically to keep it from getting too hot and hardening the edge. Avoid holding your saw blade in one spot so you don’t accidentally overheat and harden the metal around it. If you don’t have power tools, don’t worry, there are cheap and effective ways around that. Your best bet is a high-quality hacksaw. You’ll have to make a lot of cuts to remove all that metal, but you’ll get there. Don’t worry about the curves, you will refine those with files later on. Alternatively, you can drill as many holes as you want around the shape and then cut along those holes with your hacksaw. You can actually use the holes in your blank and a couple screws to screw the whole thing down to your bench while you cut it out. Remember to some oil when drilling! Once you’ve got your knife shape roughly cut out, you’ll want to drill holes in the tang for the pins and lanyard hole if you have one. By embedded the pins into the handle, they will help strengthen your knife and its connection to the scales. 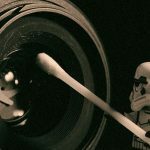 There are a variety of materials you can use for pins, but a common one is brass rod. Begin by choosing the two to three spots on the tang that your pins will go and mark them with a Sharpie, then center punch them to put a little indent for your drill bit to sit in. Make sure you don’t place a pin too close to where the handle will meet the blade. Now, you can begin drilling the holes you’ve center punched with a bit that’s the same size as your pin material. If you so choose, this is when you would drill a larger hole for a lanyard or rope. It’s important you do all the drilling before the knife gets heat treated and hardens! 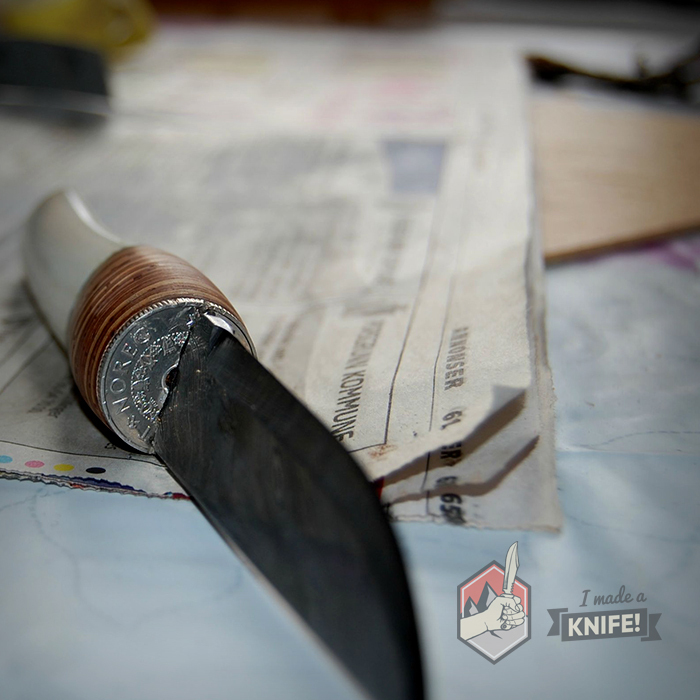 To reduce weight in the handle and to help the epoxy bond later on, some knife makers will drill holes throughout the tang to remove some of the metal. 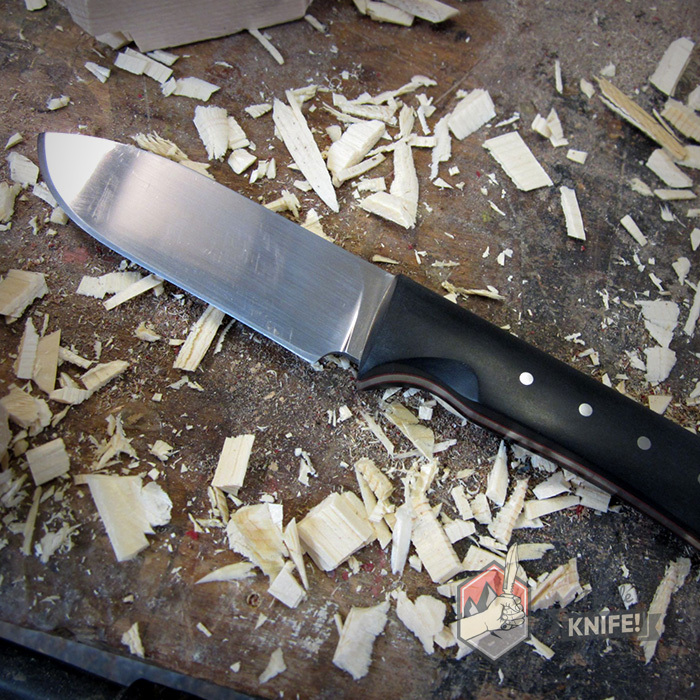 Be sure to leave enough space between the holes so that it doesn’t jeopardize the overall strength of the knife. These holes help the epoxy stick to the wooden scales later on because the epoxy now has a place to sit rather than getting squeezed out between two flat surfaces.